Hugelkultur - The ultimate raised bed technique. Today’s post topic was inspired by one of my fabulous readers. 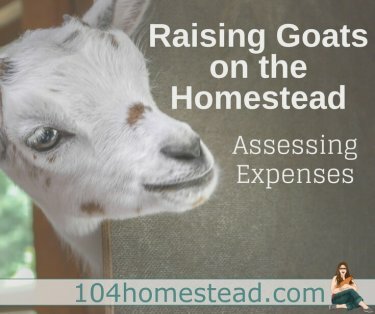 She has been following The 104 Homestead for a bit and trying out some of our ideas. Recently she wrote to ask me if I’d considered Hugelkultur. I had no clue how to even pronounce it (it’s German), let alone what it was, so I set about reading. I love a good project. I must say that it is a neat form of gardening that has a very sound theory behind it. It may not be in my future this spring, but I do see the possibilities down the line. So what is Hugelkultur? To put it simply, it’s building a raised bed that is filled with rotted wood. Why would one want to do that? Actually, there are many very good reasons to so that. It loads your garden with organic material, nutrients and air pockets for your plants’ roots. Over time your soil becomes very rich and full of soil life. As the wood shrinks it creates more air pockets which help with soil circulation (sort of the way tilling does). The bed holds more water than the average raised bed and is self-fertilizing. It’s a great way to get rid of that fallen tree you’ve been meaning to do something about. There are some “cons” to the system that you may want to be aware of. Due to natural properties of some trees (like cedar being antifungal and herbicidal), you would need to be cautious about the tree you choose. You also need to remember that trees, being high carbon material, will consume your nitrogen just as it does in the compost pile. This may only be a temporary issue since after the wood has aged sufficiently, it will actually “give back” nitrogen. I’m not going to go too much more in-depth seeing as I’m still not sure how to pronounce it correctly (the Germans seem to find it natural, but the Americans seem to have conflicting views), but here is a great video for you to check out. It is something that I don’t think many people know about, but they definitely should. Have you tried hugelkulture on your homestead? I’d love to get some feedback. Update (04/15/15): Last summer I utilized the hugelkultur principles in building an herbal spiral. I’ll be letting you know how the first year has gone later this summer. I think you’ll be surprised by the results. Being in an area where it is hot and dry, I have a friend who turned me onto this method but have been waiting back on his results before venturing into it myself. Apparently the first year he had gophers that loved the bed and moved in and pretty much killed off anything he tried to grow in there. I have access to tons of good material. My hugelkultur herbal spiral is on its second year and I’m very pleased with the results so far. It isn’t located near my other garden beds, so it rarely gets watered, yet it’s still flourishing. I have a friend from Kenya and this is kind of how they garden. They have so much clay in their soil that they dig it up to build the house. Then they fill in the new low areas with branches, leaves, old hay, etc. Then they grow their garden on that. It’s pretty cool.